A unique and outstanding film that is at once concert tribute, Marley family travelogue and humanitarian documentary, Africa Unite re-ignites the spirit of the world-renowned reggae icon in its every frame. In commemoration of Bob’s 60th birthday, the film centres on the Marleys’ first-time family visit to Ethiopia in 2005. In the capital city of Addis Ababa, three generations of the Marley family take part in a 12-hour concert attended by more than 300,000 people from around the world, with the ultimate purpose of inspiring Africa’s young generations to unite for the future of their continent. 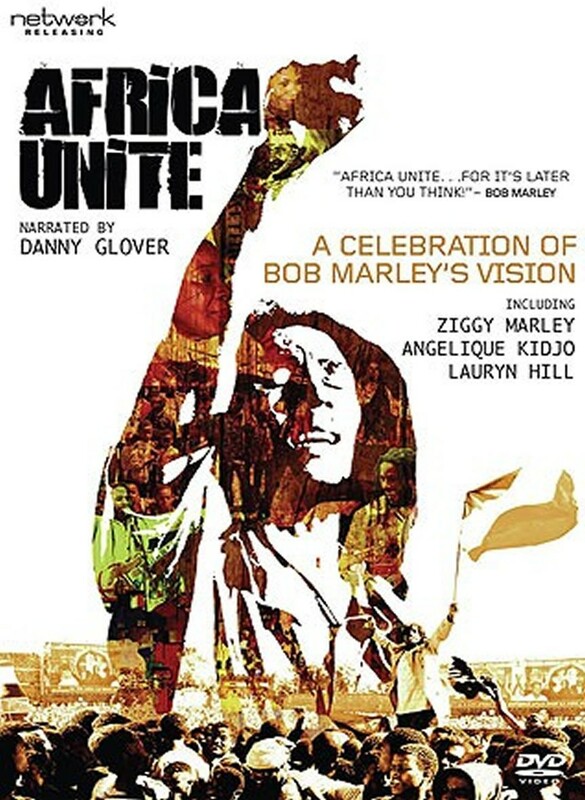 Africa Unite features exuberant on-stage spots, a soundtrack brimming with Bob Marley studio classics, and rare archive footage; it includes appearances by Ziggy and Rita Marley, actor Danny Glover and world music sensation Angélique Kidjo (both UNICEF Goodwill Ambassadors), Bob Marley’s mother Cedella Booker, and Princess Mary, granddaughter of Emperor Haile Selassie.